On Sunday, October 29th (two days before the 500th anniversary of the Reformation) we will have a special worship service at 10 AM as the culmination of our fall series. 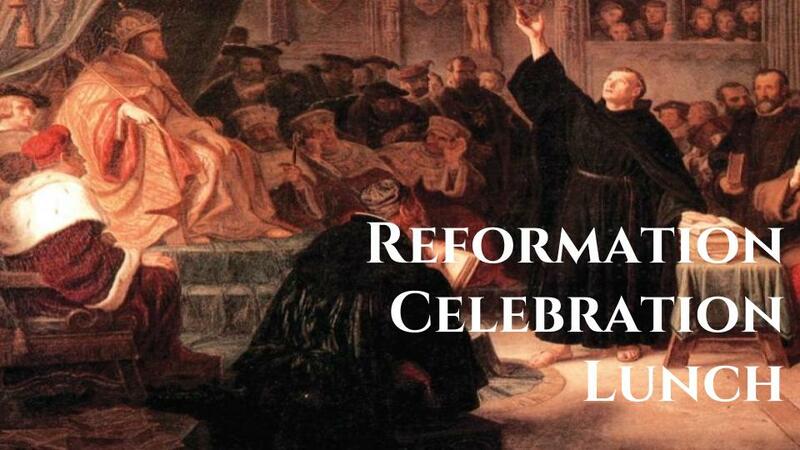 Immediately following the service is a Reformation Luncheon down in Chidley Hall. There will be German food and drink (sourced from local German establishments) and we will be joined by Martin Luther himself who will be available to answer any question you have for him and offer a dramatic recount of his “here I stand” speech. We hope you can join us! Are you of German descent? Or just have a great lebkuchen recipe? 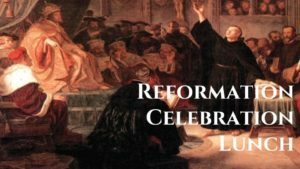 We’re looking for some volunteers to help put on our Reformation Luncheon on Oct. 29th after church. If you’d be willing to contribute a German dessert or side dish, or would be able to help with setup or serving, please drop a line to Dina Pradel or Lela Shepard.